Aksiom is an ensemble for new music based in Oslo, Norway. It was founded in 2010, and held its debut concert October 2nd the same year in Grønland kirke. 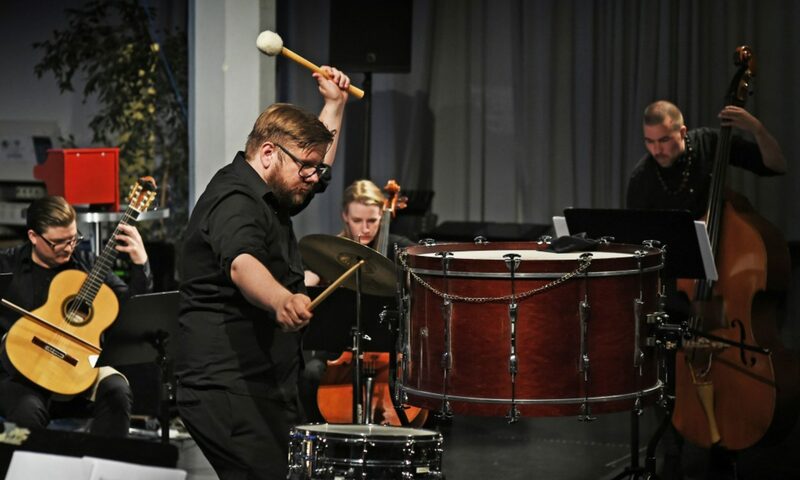 The basic line-up consists of 9 musicans (flute, saxophone, trombone, percussion, piano, guitar, violin, cello and double bass) and conductor Kai Grinde Myrann, but the ensemble performs also in smaller or larger constellations. Aksiom focuses on developing new pieces with composers, especially from the Nordic music scene. The eponymous debut CD Aksiom was released in 2016 on LAWO Classics with works by Johan Svensson, Lisa Streich, Øyvind Mæland and Martin Rane Bauck.